Thanks to Gail Sumi, ELGL member and League of Wisconsin Municipalities (LWM) Member Engagement and Communications Director, for connecting us with Jason Rohloff. We asked Jason to share takeaways from his internship before he heads back to school at Drake University. Fun Fact: Jason’s dad is the Oshkosh, WI city manager. My name is Jason Rohloff (LinkedIn and Twitter) and I am a rising senior at Drake University. I am majoring in History with a minor in politics. I spent this summer interning for the League of Wisconsin Municipalities (LWM) in Madison, WI. The League is the primary advocacy group and membership organization for Wisconsin’s cities and villages, which provides legal services to its members along with training and networking opportunities. Completing research on a variety of topics – membership engagement to potential speakers and presenters for LWM events. As the old saying goes, “variety is the spice of life.” I was fortunate to be a part of an organization that works on a variety of topics related to local government. Having a multitude of issues and topics to work on provided a broad understanding of how government works. For example, I worked on a survey regarding liquor licenses while simultaneously working on a report about the creative economy at the local level. My experience provided a deeper understanding (and appreciation) for municipal government and the issues that impact Wisconsin communities. I plan on pursuing a local government career, and this experience increased my understanding of issues being dealt with on the local level. Communication between supervisor and intern is the most important component for a successful internship program. As with any relationship, communication between supervisor and intern can significantly influence the dynamic because interns will encounter problems that they cannot solve independently. When I had questions that I could not answer, my primary supervisor was more than willing to provide what I needed. 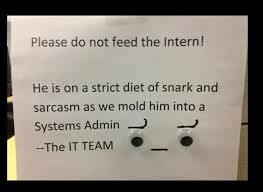 This was key in ensuring the internship was fulfilling and comfortable. As an offshoot of communication, an organization needs to make an intern feel welcome and a part of the team. In essence the workplace dynamic teaches an intern how to behave appropriately around people in a professional environment that cannot be taught in school. In a perfect world, an intern would hear nothing but praise and how their work has been meaningful and impactful. However, if that isn’t true, interns want the truth — where did they succeed? how can they improve? Providing constructive criticism allows interns to improve on their shortcomings. As with any employee, interns do not set out to make mistakes but they do happen. I also believe receiving feedback from multiple people in the organization is helpful. The multiples perspective allows an intern to understand various staff members view success in different ways. This provides another opportunity for the intern to adjust and improve. The ideal internship experience engages the intern in multiple facets of the organization, provides meaningful assignments, and assigns supervisors willing to work with the intern. This can be as simple as being allowed to sit in on a meeting or sending emails about various issues going on in the organization. The other aspect of a successful internship is having a workplace where the intern has superiors that are willing to involve them on anything and everything going on in the organization. Internships provide valuable work experiences that cannot be replicated in the academic environment. Being involved with multiple projects during an internship is the perfect way for an intern to discover their career path. From my experience and in talking with my friends, I think internships should offer some compensation. Interns are the same as everyone else we have bills to pay and want to have spending money. The internship experience is valuable to professional development and offering compensation may help attract potential interns to your organization. In addition, whether a stipend or a salary, providing compensation provides an intern the opportunity to manage finances and develop a personal budget. Some of my greatest learning experiences at the League happened while attending meetings. I learned from listening to other staff talk about engaging rural communities to urban planning, topics that are important for someone who wants to be in local government. If your organization is considering an internship program, you should create an experience that provides room to grow and learn from people who have been in a profession for years. And, perhaps most importantly, the intern should be allowed to experience both success and failure, both of which I believe are vital in any career, especially one in local government. The BlogTern: Should You Pay Your Intern?